DID YOU KNOW? You can list your conferences, festivals and parties for FREE on the site. Check out those upcoming events here . Would you appreciate a WeedWeek regional supplement with more news from California and/or Canada ? Or more news about the opioid crisis ? Sign up at the appropriate link. If you consider WeedWeek a valuable resource, consider supporting us with a monthly contribution on Patreon . Swag and discounts start at $2 a month ..
Brandbuilding opportunities to appear in the newsletter with your links and social media handles start at only $50 a month . This week on the podcast, Hayley and I talked to Anja Charbonneau, founder of Broccoli, a fashion-forward cannabis magazine for women. Among much else, Anja talks about the global cannabis community, finding a place for cutting edge design in the cannabis world, and a favorite weed inspired song. The episode drops Monday at 4:20 p.m. Pacific. You can rate us five stars on iTunes whenever you like. Comments or feedback? Don't be shy. Our producer is Katie Long. Interested in sponsorship opportunities? Contact here. Recommended: The N.Y.Times' Dan Barry wrote a powerful piece on this week's massacre in Parkland, Fla. The 2018 U.S. midterm elections are coming. Register to vote and/or get the information you need to vote here. Colorado Sen. Cory Gardner (R) partially lifted his hold (Reuters) on Justice Department confirmations “as a show of good faith for continued positive conversations,” with Attorney General Jeff Sessions on protecting state legal cannabis businesses from federal prosecution. Gardner backed down days after Sessions, in prepared remarks (Forbes), implied Gardner was endangering national security. Sessions added, "I cannot and will not pretend that a duly enacted law of this country -- like the federal ban on marijuana -- does not exist. Marijuana is illegal in the United States -- even in Colorado, California, and everywhere else in America." Politifact says there are limited privacy protections for legal cannabis customers. New York Senator Kirsten Gillibrand (D) announced her support for Sen. Cory Booker’s (D-N.J.) REC legalization bill. Both are considered contenders in 2020. Vice predicts the next Democratic president will legalize REC . Rolling Stone says California is blocking Native American tribes from entering the industry. A Florida lawsuit argues the state’s strict MED program -- only 10 commercial grow licenses -- violates the spirit of the 2016 ballot initiative. Florida Congressman Matt Gaetz (R) has become known as a die-hard supporter of 1) President Trump and 2)Cannabis reform . More than 60% of Florida voters support legal REC. In New Jersey, a bi-partisan group of lawmakers prefers decriminalization to legalization , for now. Pro-legalization governor Phil Murphy (D) discussed legalization . Massachusetts Gov. Charlie Baker, (R) who opposed REC, criticized proposed regulations (Boston Globe), which would allow delivery services and social use, as too permissive. He also wants to set energy-use standards (MassLive) for the industry. For more see WWLP . Detroit placed a moratorium on new MED business permits. Ohio offered to “pause” its much criticized MED approval process. Utah lawmakers are taking “baby steps” to legalize MED for the terminally ill. In Canada, the Senate reached a REC legalization timeline , with a vote to be held by June 7 and sales delayed until at least August. And don’t expect legalization to replace the grey market . Israel’s ultra-orthodox deputy health minister has reversed himself and now opposes MED exports. The cannabis community celebrated President Obama’s official presidential portrait with its botanical theme. During Denver shows the Pod Save America crew talked to dispensary owner Wanda James , and cannabis writer and Cannabist founding editor Ricardo Baca . Baca also talked to WestWord about cannabis media and his content business Grasslands. Canadian e-commerce giant Shopify will handle online and in-store sales in for Ontario, Canada’s most populous province. Seeking Alpha likes the deal for Shopify. The province of Quebec has inked supply agreements with six MED producers. Al-Jazeera visits Canopy Growth , one of Canada’s largest producers. The Canadian industry has its sights on global conquest. CBC looks at the Canadian edibles market . Legalization is a nightmare for Canadian landlords . Some investors think MedMen’s $1 billion valuation is too high . Publicly-traded Kush Bottles received a $6M investment from Maryland-based cannabis fund Merida Capital. TheStreet suggests the best ways to invest in cannabis . Hint: It’s mainly “weed-adjacent” companies. Pernod-Ricard, the world’s second largest spirits company says legalization hasn’t hurt North American sales , but it is monitoring the situation. 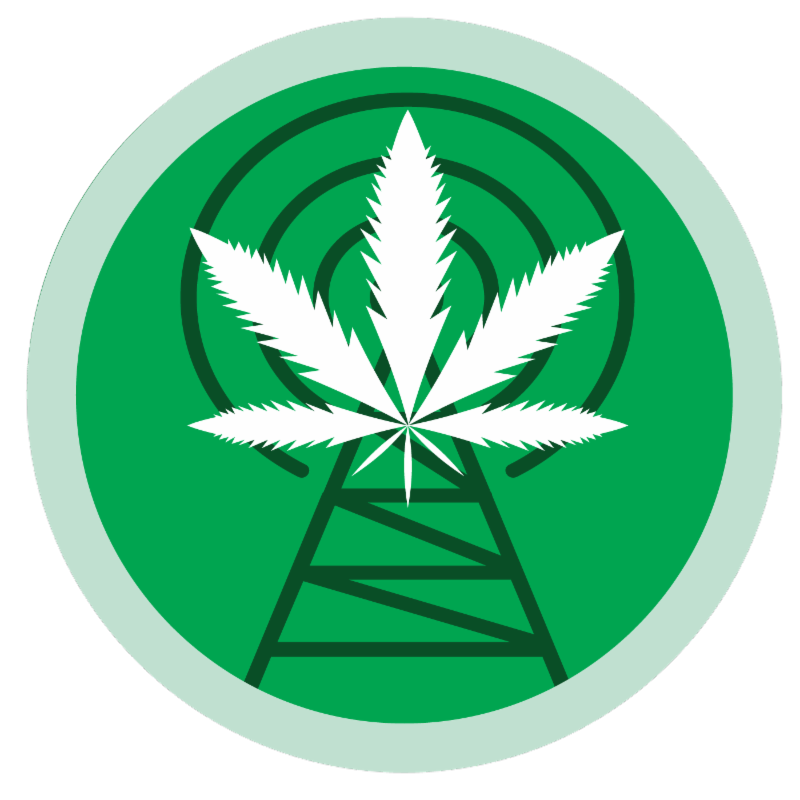 Willamette Week (Portland) looks at the Open Cannabis Project , the open-source database “that can save the cannabis industry” from overly broad patents . The all-cash industry is causing problems and confusion in Michigan. CBD pet treats are catching on. A private BYOC club opened in Massachusetts telling customers they could smoke anything that’s legal in the state including tobacco. A Denver business is close to winning a social use permit . Comedian Chelsea Handler is joini ng the industry . Introducing our incredible line of microdosed & sugarfree Fire Cinnamon Mints and Ice Spearmints! Chill your breath and your mind with these icy spearmints, microdosed with our ultra-pure, incredible THC oil.Available in 2mg pieces for adult users and 5mg pieces for medical patients. Our Stimulating Mixes Fruit Tarts combine a tangy apple, lemon and grape flavors deliver a tart punch to your palate along with a microdose of our incredible oil for discreet medicating on the go. These tarts are gluten free, non-GMO, and always triple-lab tested for potency, purity and safety. Last but not least... Watermelon CBD! We're already dreaming of summer! Our 1:1 THC:CBD Watermelon Tarts are bursting with flavor and always gluten free. Sweet, sour & juicy our Watermelon CBD Tarts combine the benefits of CBD with the relaxation of THC. So sit back and enjoy our "seedlesss" watermelon. Cannabis is a safe and effective treatment for seniors suffering from chronic pain, data published in the European Journal of Internal Medicine found. In a study of more 1,186 Israelis, after six months more than 93% of respondents reported an improvement in their condition. Activist group Grannies for Grass has a satellite group in Australia which calls itself the Canna Nannas. A study from the American Osteopathic Association found cannabis use can activate latent psychiatric problems . A study found alcohol is more dangerous to the brain than cannabis. A longitudinal analysis found cannabis using “street-involved youth” have a lower rate of starting to inject drugs than their non-cannabis using counterparts. Pot holiday 4/20 has been linked to a slight increase in fatal car crashes . MED patients have limited access in Florida. The San Diego Union Tribune reports on cannabis use by seniors . President Trump named attorney Jim Carroll as the new drug czar , though Trump’s budget would gut the office. More safety sensitive transportation workers are testing positive for drugs , especially opioids. Canadian patients want the MED and REC sectors to remain separate . OregonLive has a story about a family which “went rogue” and gave MED to an elderly father with dementia. The Canadian military will spend an estimated C$170,000 on goggles which simulate the sensation of being stoned. Even Australia’s “MED poster boy” can’t access it. Amid concern over the opioid crisis, meth is having a resurgence . It tends to be manufactured in Mexico and smuggled in rather than cooked in domestic labs. Neuroscientists studying psychedelic substances “ accidentally proved the self is an illusion. ” Wired meets English Countess and LSD activist Amanda Feilding . PROMOTE YOUR BRAND. BECOME A PATRON. Five plaintiffs including a former NFL player, a veteran and a 12 year old MED patient are suing AG Sessions, the Justice Department and the DEA (AP) saying the decision to make MED a schedule I drug was irrational and motivated by politics rather than science. The judge appeared empathetic to their situation as well as the government’s position that plaintiffs can petition the government for a change. In another important case, the Ninth Circuit Court of Appeals heard oral arguments in Hemp Industries Association vs. DEA , a case challenging CBD’s inclusion as marijuana in the Controlled Substances Act. MJBizDaily offers five things to watch in the case , which won’t be decided for months. After a meeting at the White House, Polk County, Fla., Sheriff Grady Judd said, "Every person I've ever asked that has a drug addiction problem, I would ask them intentionally 'what was your drug of choice that set you on this path?' Marijuana. Every time, marijuana." Washington Gov. Jay Inslee discussed vacating past pot convictions with The Stranger. Virginia’s Senate passed an expungement bill . A bill in Alaska would make possession convictions confidential . A man who says his car was improperly seized for smelling of weed , is taking his appeal to the Vermont Supreme Court. L.A. police are closing unlicensed dispensaries, but not very quickly. D.C. cops are cracking down on the city’s cannabis “gifting” economy. In New York City, racial disparities in cannabis arrests persist . Last year 86% of those arrested for possession were people of color. Staff at a Maine childcare center appeared to get high on cookies dropped off for them by a parent. Berkeley City Council voted to become a cannabis sanctuary city , possibly the first. But the phenomenon could become more widespread . The East African nation of Tanzania is cracking down on illegal growing . Cannabis oriented streaming services 420TV and Burn TV have struggled to take off. Mel Magazine talks to Mel Frank, a “godfather” of cannabis growing . Forbes details the cannabis-infused wedding of Dani Green , longtime aide to Steve DeAngelo. Travel writer Rick Steves spoke about cannabis reform on a trip to D.C. The Portland Mercury talks about how cannabis complicates dating . I visited an upscale Malibu dispensary for The Guardian. 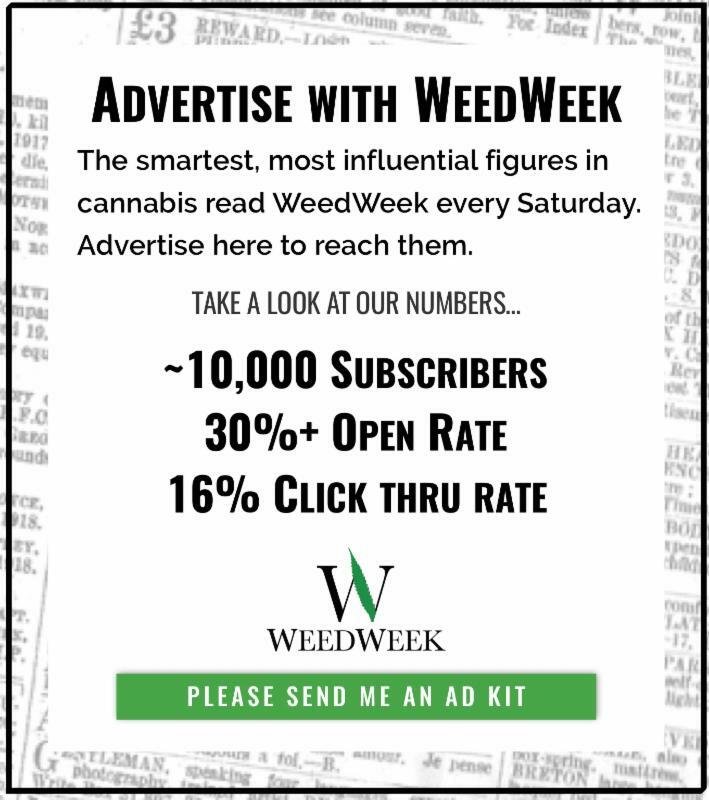 Since you made it this far, WeedWeek *might* be worth $2 a month to you. Consider supporting us on Patreon . Thanks! Here's the WeedWeek list of pot journalists on Twitter and the list of cannabusiness people on Twitter . Both are works in progress. Recommendations welcome. I've also created two political Twitter lists you can subscribe to: Real News and Tweeting the Resistance . Want to reach a devoted audience of top cannabis professionals? Advertise in WeedWeek. Contact Adrienne Nascimento at weedweekads@gmail.com for details. Advertising policy: Advertisers and contributors through Patreon have no influence on WeedWeek's editorial content or on the content of articles that Alex Halperin writes for other publications. 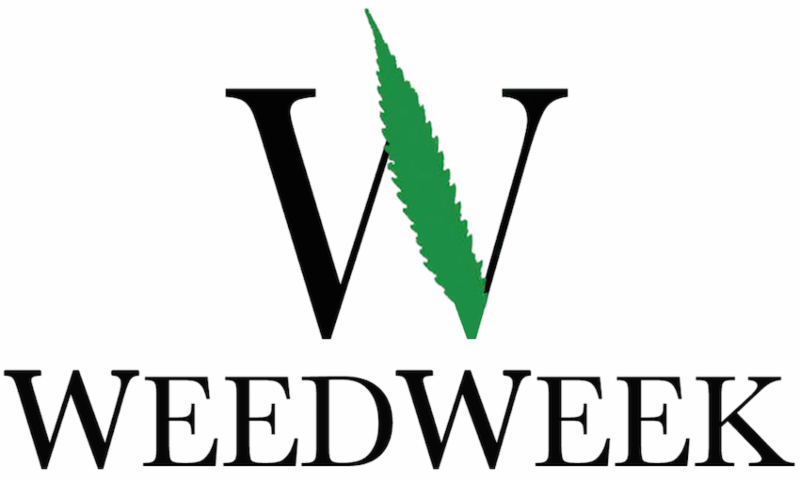 In an effort to replicate the separation of business and editorial operations practiced at reputable news organizations, a WeedWeek salesperson will be responsible for all sales-related contact with advertisers and will work, as much as possible, without input from Halperin. All advertising queries sent to Halperin are referred to a salesperson. In all WeedWeek material, all ads and other forms of paid content are clearly distinguishable as such. Halperin does not approach potential advertisers to solicit business, and reserves the right to reject ads if they present a conflict of interest, the appearance of a conflict of interest or for any other reason.